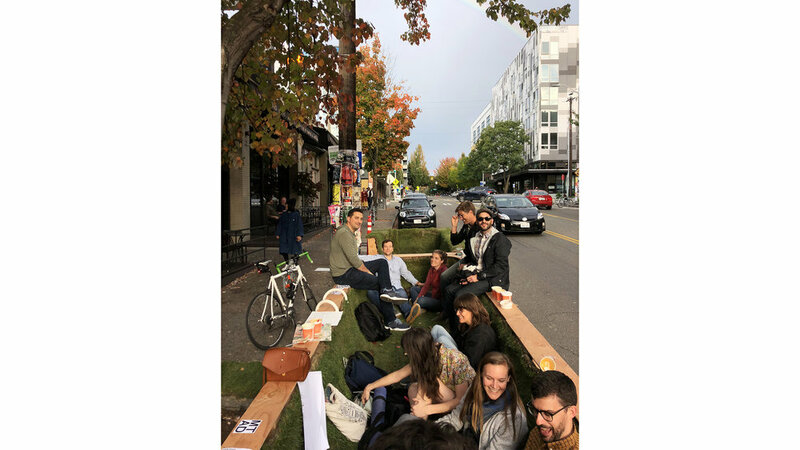 We believe communication, diversity, and free flowing ideas is a product of adjacency in the urban environment, leading to trust and exposure through the communication of ideas across socio-economic and cultural spectrums. 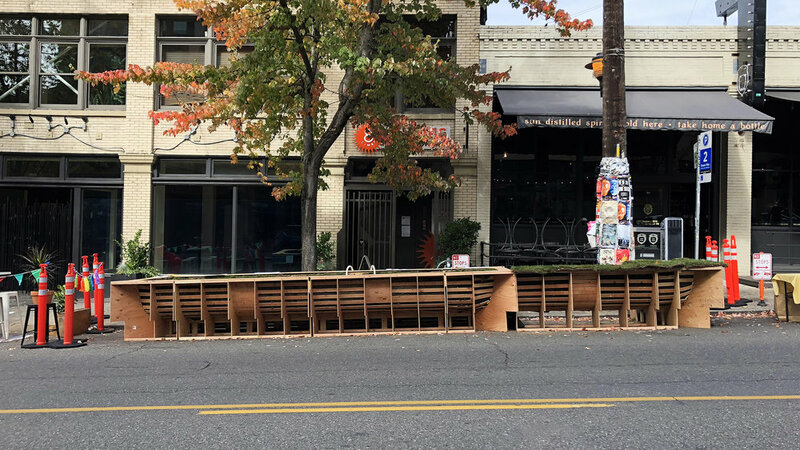 We believe in the need to increase this trust and exposure in Seattle through increased communication and adjacency. 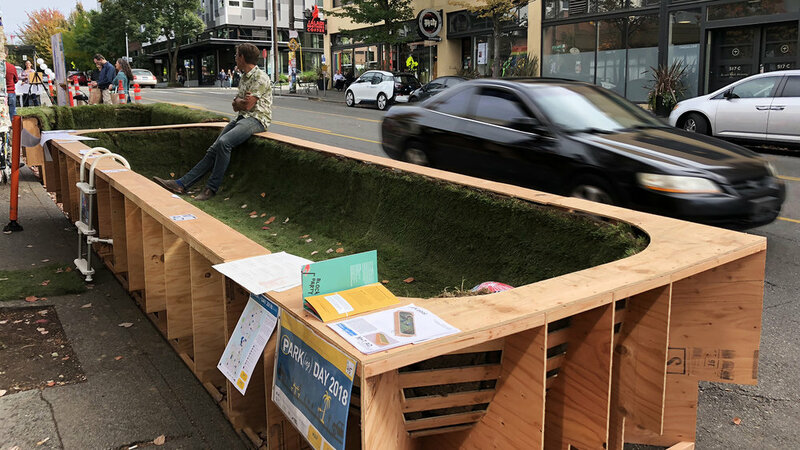 Park Pool is an elevated immersive micro park which creates a both public and private space for conversation and relaxation, facilitating trust, communication, and understanding among friends, associates, and strangers. 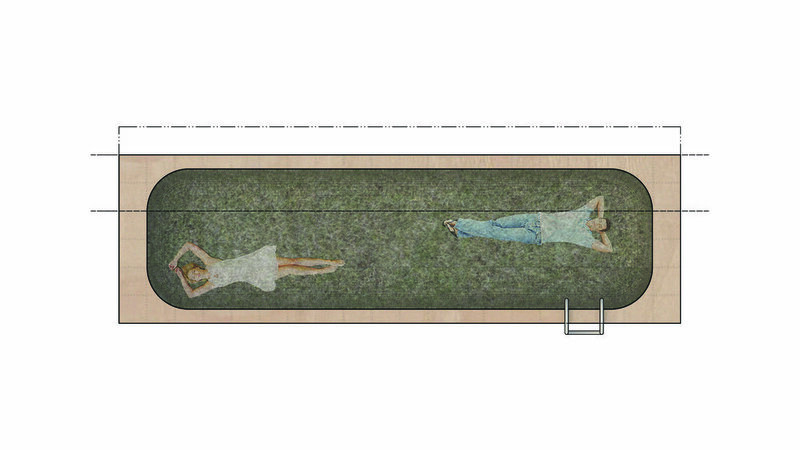 Essentially a pool basin, Park Pool is a micro green space designed to occupy parking spaces in urban environments. 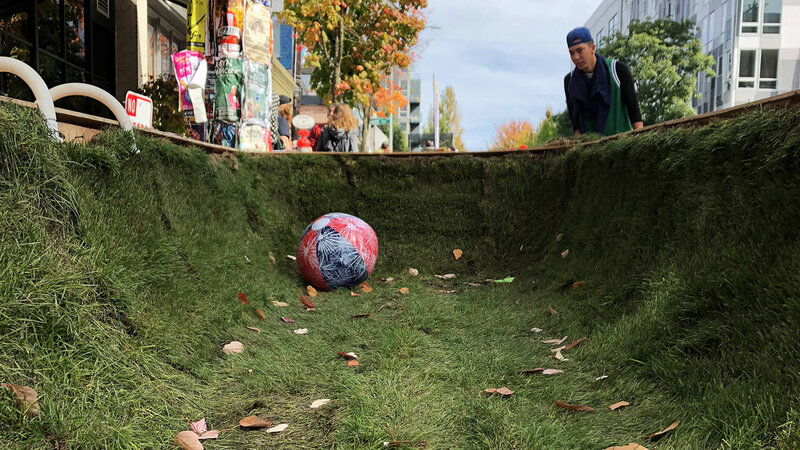 It is a 20’x5’x2’ deep volume completely covered in natural grass. 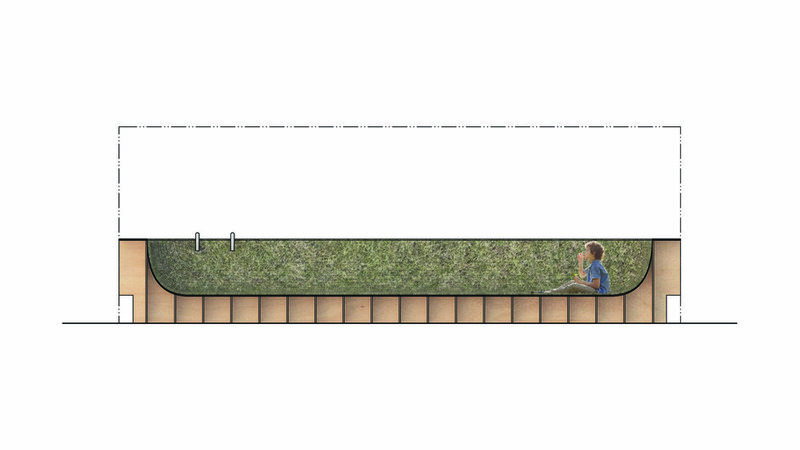 Designed to allow individuals to lounge and relax conformably and engage in conversation, but deep enough to immerse visitors in a lush green environment in the middle of the city. 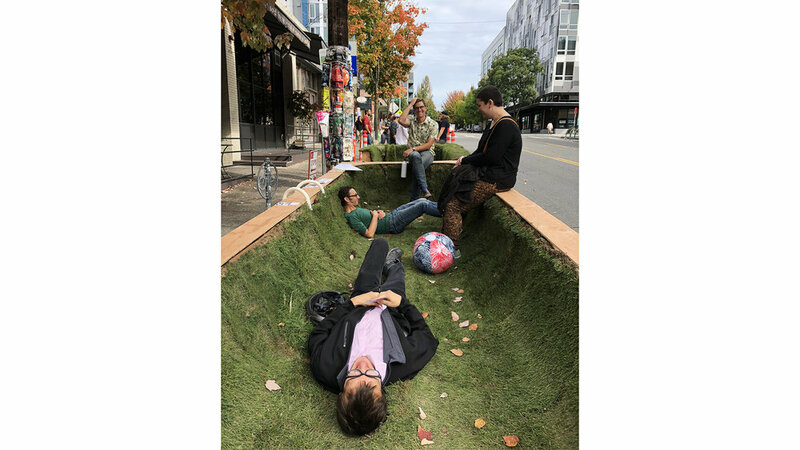 When visitors are relaxing and seated, the space is private, yet these individuals can still engage with the surrounding urban fabric. 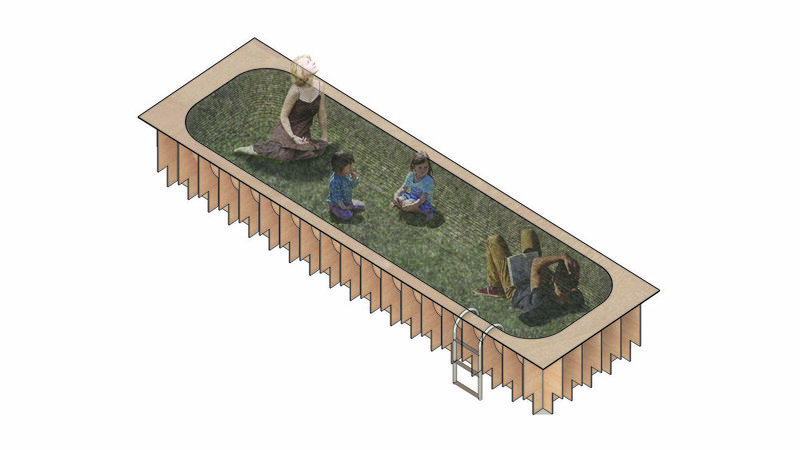 Lying down, however, offers visitors a completely immersive experience, as the grass wraps up the sides and surrounds the individual, screening views and sounds of the city and focusing the attention inward.